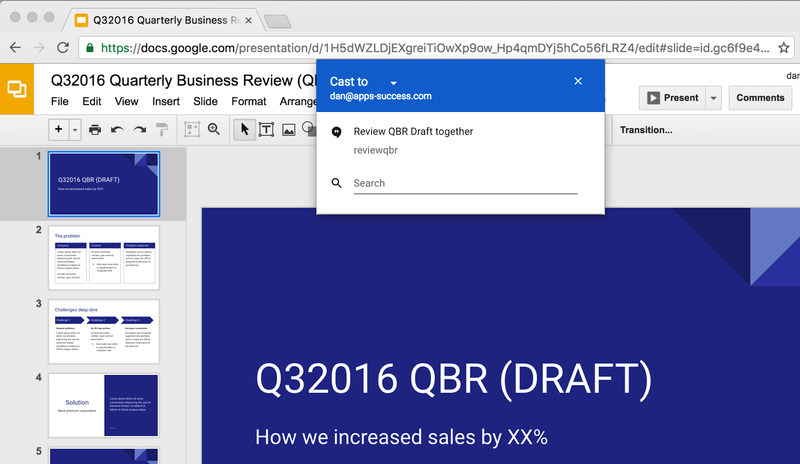 You no longer need to have an extension installed to Cast content in Chrome, but you can still have the Cast shortcut installed. You can use the toolbar button, the right-click menu on a page, or the Chrome menu. The Cast popup will show all available cast devices, including ongoing Hangouts calls. This also works with the Cast for Education platform. You can use the Cast button that appears on video content to select a Hangouts call too. As long as you're on the latest version of Chrome (v52 stable or later), you should begin seeing the option to Cast to Hangouts in a few days. Just make sure casting to cloud services is enabled in the settings.